The Healing Power of Resonant Frequencies | Our System GUARANTEES Results! In the beginning was the word… And that word not only created the universe but sustains and maintains it. And what is word but vibration? From the chair that you may be sitting in to the paper or the mouse you are holding, everything is in a state of vibration. This is not a new idea. Ancient mystics and prophets alike have known this for many a millennium, but now scientists are beginning to understand this and agree. From the electrons spinning around the nucleus of an atom, to the planets spinning around suns in the galaxy, everything is in movement. Everything is in vibration as a frequency and every object has a natural vibratory rate called resonance. Consider oxygen. It is something that we use everyday, and each of us realize how crucial it is to our survival, yet we are not able to experience it with touch, taste, smell, hearing, or feelings. The fact that we cannot experience it with these senses certainly does not mean it does not exist because we know it does. The reason that we are unable to sense it with our physical sensory perception is because of its rate of vibration is outside of our physical ability to do so. The latest quantum physics theory, born only a decade or so ago, called String Theory suggests that the physical universe is built out of sound vibrations (word), kind of like everything is the result of some huge cosmic guitar being played somewhere. It’s a mind-blowing concept that is held by some of the sharpest minds in the physics community, including Steven Hawking. One of the basic principles of using frequency as a transformative and healing modality is to understand that every part of the body is in a state of vibration. Every cell, tissue, and organ is in a state of vibration. When we are in a state of health, the body puts out an overall harmonic of health. However, when a frequency that is counter to our health harmonic sets itself up in some portion of the body, it creates a disharmony that we call disease. In 1929 George Lakhovsky, a Russian engineer, published a book called ‘The Secret Life’ and “waves that heal” which gave birth to an innovative new concept in healing, Radiobiology. In another book titled, ‘The Cancer Conspiracy’ by Barry Lynes, reviewer Theresa Welsh of The Seeker Books website stated, Lakhovsky maintained all living cells, from people to parasites, produce and radiate oscillations at high frequencies and they respond to oscillations of different frequencies from outside sources. The world today is bombarded with electro-magnetic impulses from mobile phones to microwaves and researchers fear this may be the cause of increased cancer risks. But what happens when outside oscillations concur with the frequency of internal cell oscillations? According to Lakhovsky, and even some modern scholars, the living being grows stronger. So what is the mechanism for healing? Resonance. Author Richard Gordon describes resonance as: “When two systems are oscillating at different frequencies, there is an impelling force called resonance that causes the two to transfer energy from one to another. When two similarly tuned systems vibrate at different frequencies, there is another aspect of this energy transfer called entrainment, which causes them to line up and to vibrate at the same frequency.” So basically when you introduce a similar yet higher frequency into imbalanced and dis-eased organs, tissues and cells of the body that are emitting lower frequencies, the higher frequency causes the lower frequency to rise to the occasion, so to speak, and promote healing and repair of the affected area. In fact, The 528 Hz frequency is known as, the “528 Miracle,” because it has the remarkable capacity to heal and repair DNA within the body and is the exact frequency that has been used by genetic biochemists. In summary, low frequencies and frequencies that are out of balance, cause illness. By using frequency-healing tools, you can help correct those imbalances even before they create disease. Frequency healing tools are complimentary to each other and modern medicine and have no negative side effects. With all of that in mind, I’d like to share with you some amazing music that was created with healing in mind. It’s call Wholetones and it was created by a musician named Michael Tyrrell who understands the power of frequency. In fact, his own mother had a healing experience (from cancer) as a result of his music. Michael went on to create a whole series of 7 healing tones (including 528 Hz) and he is getting amazing testimonials of spiritual, emotional, and physical healing from those who listen to these amazing tones. You can listen to a sample of these tones at http://www.QuantumEmergence.com/wholetones. 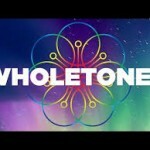 I’d love to hear your experience with Wholetones, so feel free to leave a reply below.